NOTICE: This item has 4 Language Verison: English, Russian, Spanish and French Voice. But don't support language switch function. Please leave a note of which voice you need, or we will send English as default. just available for English user manual book. 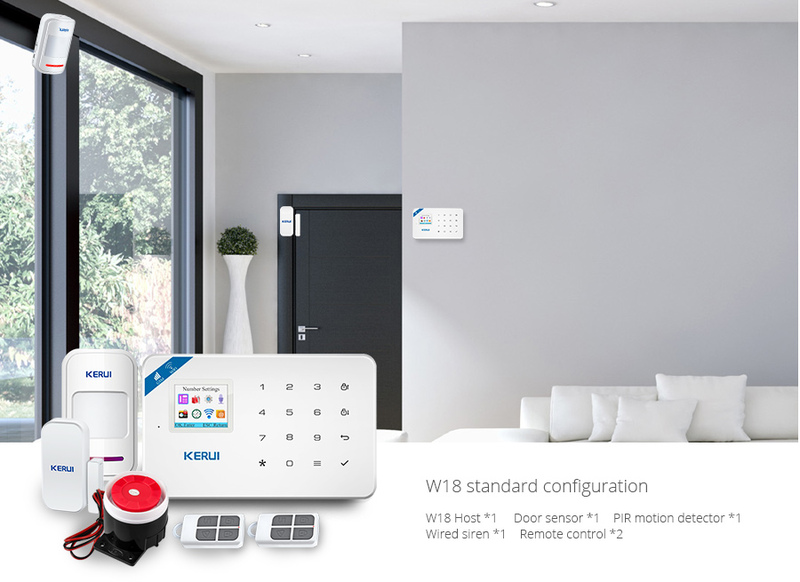 Note: W18 control panel has not wired terminal, and it can't connect any wired sensor or detector. 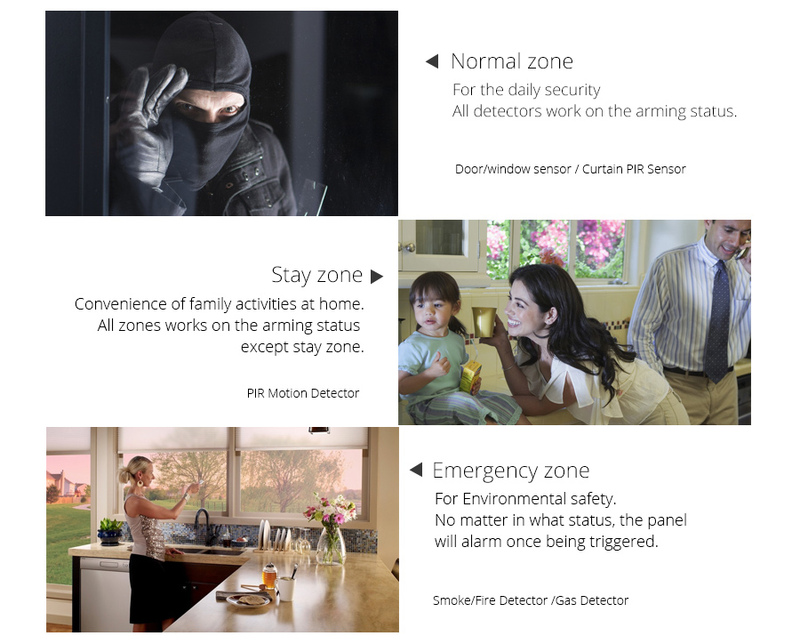 * There are 99 zones and 8 zone types optional in each zone; ON/OFF siren in each zone is available. * 4 sets scheduled arm/disarm/stay arm function by zone/day/time. 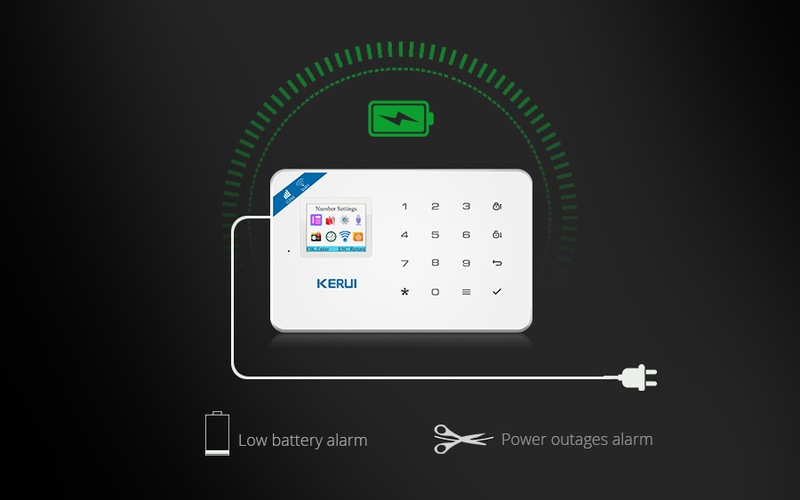 * 6 groups alarm phone No., automatically dial preset phone number when power failure. 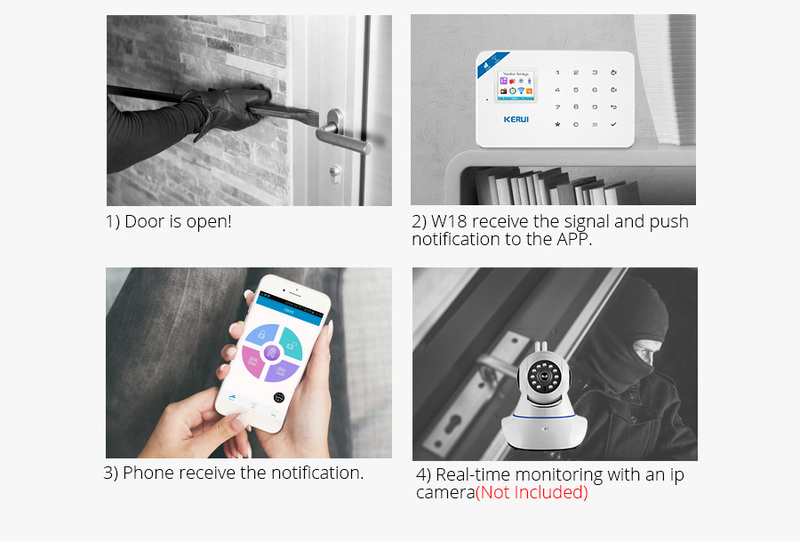 * 10s automatic message recording with built-in artificial voice, so that user can know the alarm place and zone when receive the alarm call remotely. 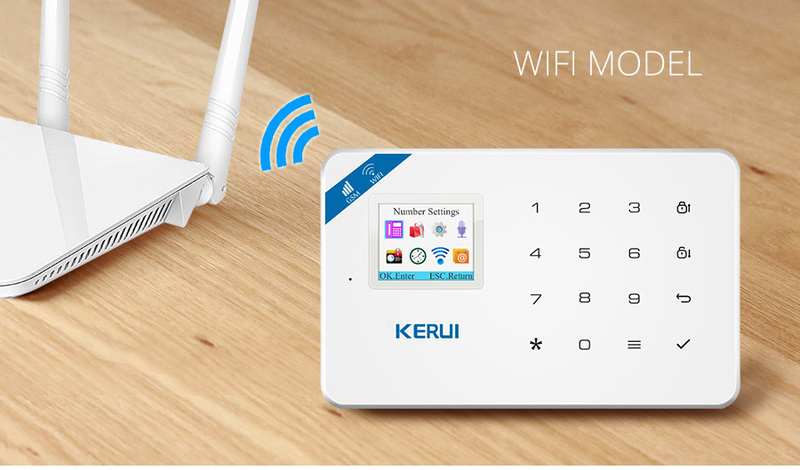 * Arm/Disarm, Monitor, Speaker, siren ON/OFF, smart socket ON/OFF remotely. 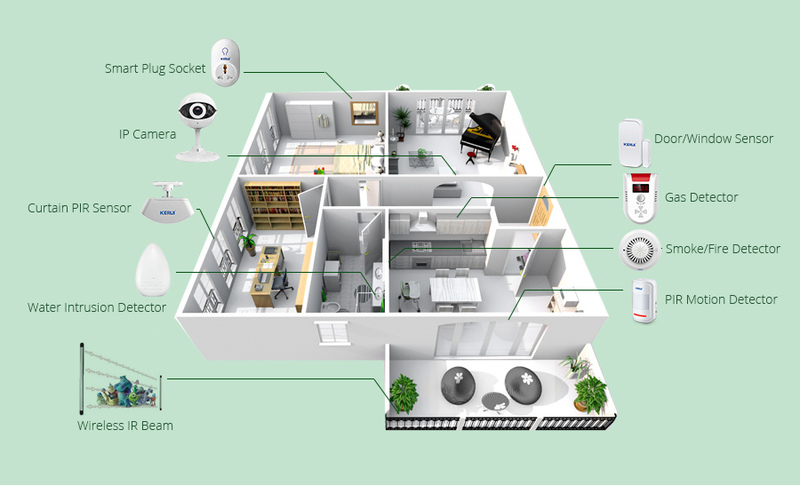 * Wireless study 1527 series accessories, and as much as 99 detectors and 99 remote controls. 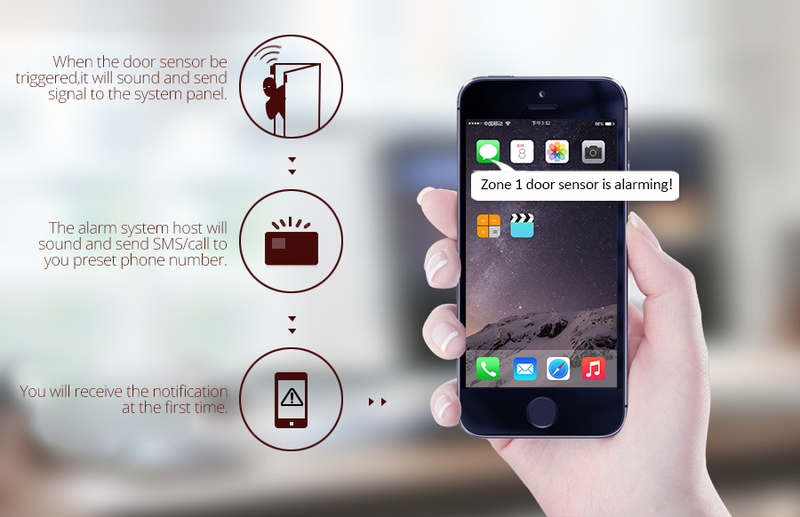 * Telephone/SMS message long-distance control for arming, disarming, monitoring, remote announcement. 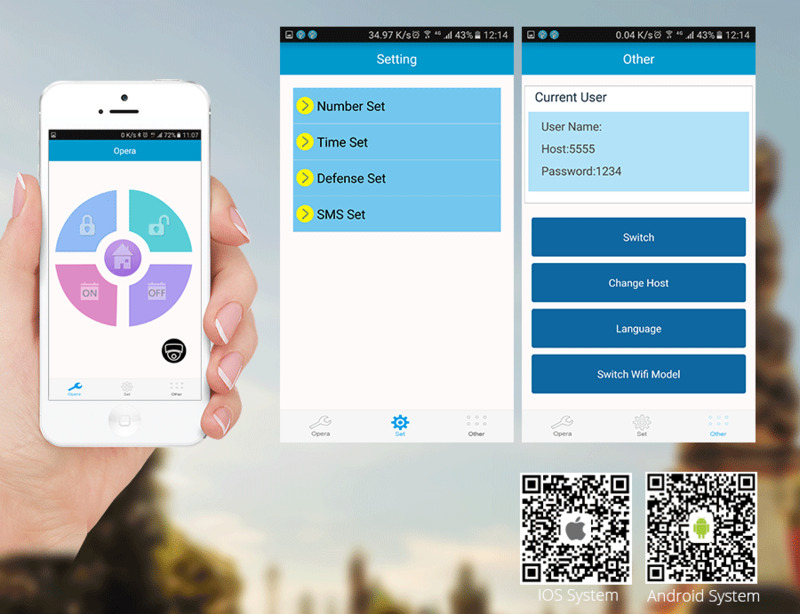 * APP control host set and administration, and supports IOS/Android. 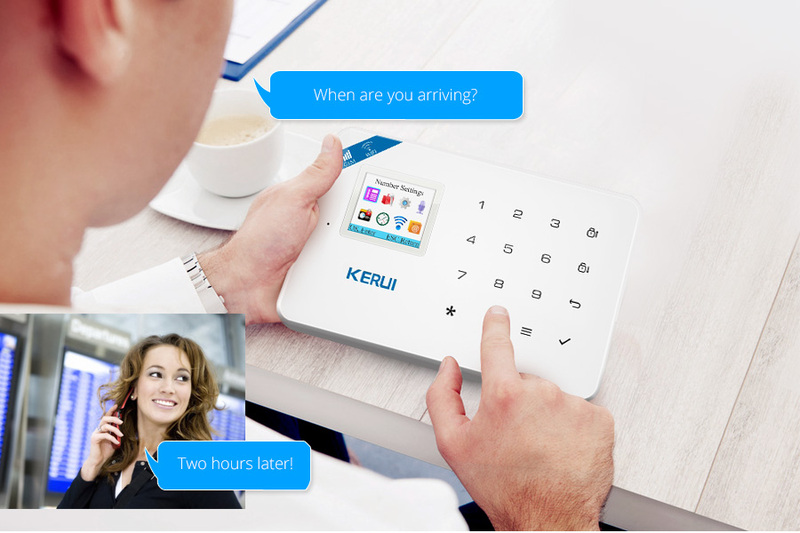 * Caller ID display, power-off reminder. 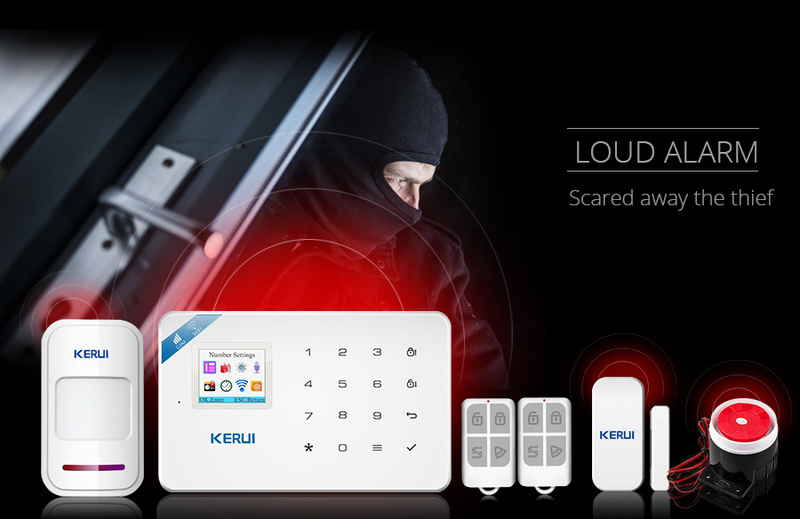 Q:Dose the alarm system have Russian language? 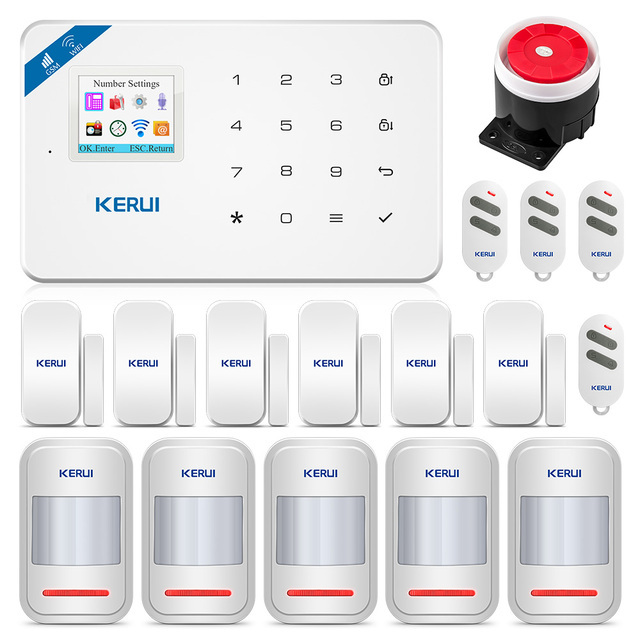 A:Yes,this alarm system have Russian vioce and Russian menu,but it without Russian user manual,We have English and Russian version.if you need the Russian version,please leave us messages when you submit the order,or we will send you English version as deafult. Q:And How long is the warranty period? 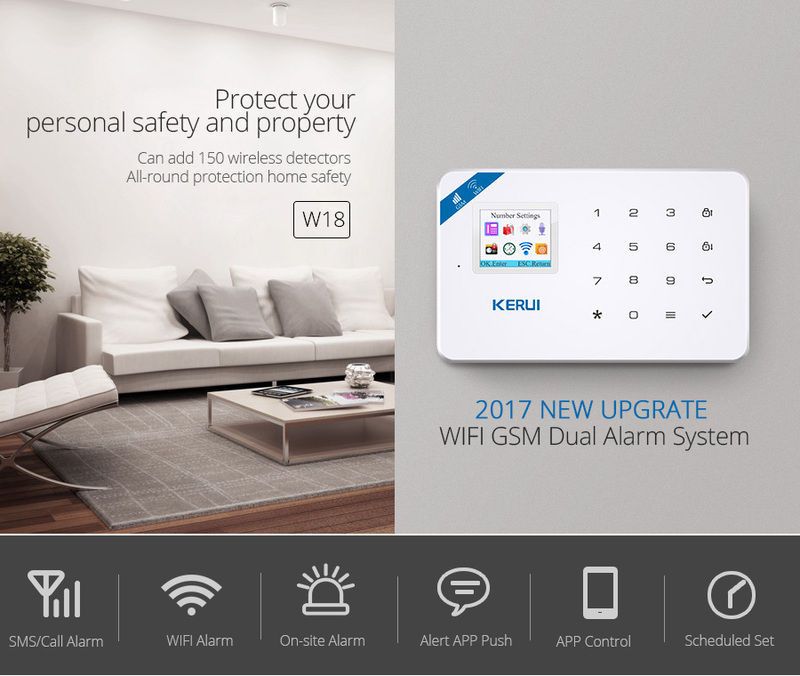 A: alarm system panel guaranty one year.